A person charged with a crime faces the most challenging time of his or her life and needs the help of a compassionate, experienced criminal defense attorney. Whether the charge is a minor traffic violation or a serious felony, the accused person deserves to know he or she will receive thorough, aggressive legal representation. The Durham, North Carolina law firm of Thomas, Ferguson & Mullins, LLP has built its reputation aggressively fighting tough criminal defense cases to get the best results for the accused in state and federal courts. The attorneys have spent much of their careers successfully defending clients charged with a wide range of crimes, from minor traffic violations and driving while impaired to serious charges of robbery, assault, and homicide. Whatever the charge, the criminal defense lawyers here are committed to handling every case confidentially, competently and aggressively. 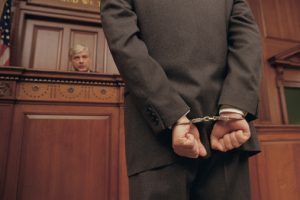 This criminal defense law firm knows how to fight for the accused and zealously advocates for them every step of the way. Whatever the charge, we are committed to handling your case confidentially, competently and aggressively.